Endgame Studios’ dual-world platformer Fractured Soul has made the jump from the 3DS eShop to Windows, Mac, and Linux platforms, and is now available for purchase from GOG.com, Desura, and the developer’s website. Fractured Soul divides its gameplay across two screens representing alternate dimensions. 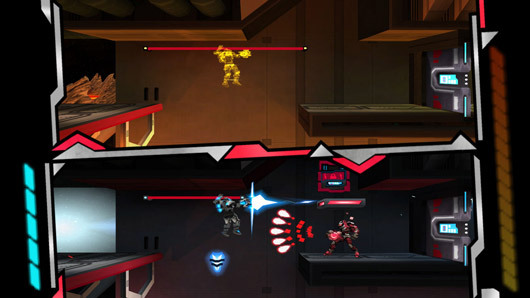 While its Mega Man-like platforming mechanics are straightforward, players must frequently shift between screens in order to solve puzzles and defeat certain enemy types, adding complexity to the formula. The PC version introduces a new “Easy” mode not present in the original 3DS release, along with upgraded graphics and an in-game timer for speedrunners. Fractured Soul is available for $8.99 during its debut week. Endgame Studios continues to seek a Steam release via Greenlight.